Hey there, here’s an article that you’d like. So, I did some research and decided to write about the best music streaming Apps I have encountered so far. As of today, technology has made it more easy to stream music online, which is way more convenient and has made it easier to access any kind of music you wish to listen to. 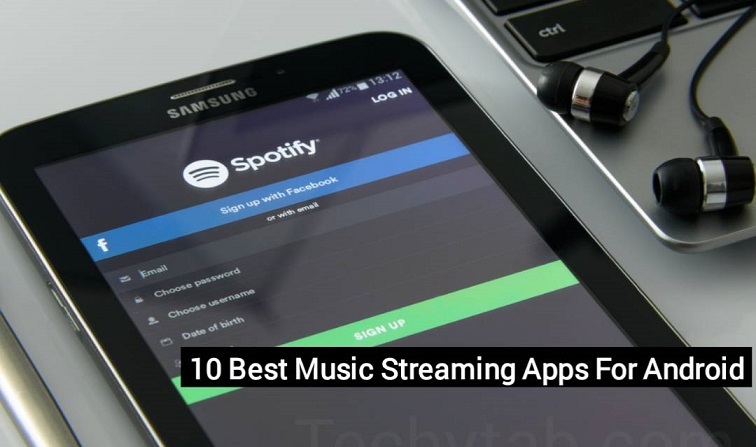 So in this post, I will be including some best music streaming apps for Android. Spotify is one of the world’s most used music streaming apps for Android. It has a very nice and friendly user interface. This App contains lots of playlists, albums, and some radio stations. You can also get to find this app not only on Android platforms but it is also available on other platforms like Windows or iOS. This App also has some premium abilities like listening to music with no ads and save them offline. This App is one of my favorite music streaming app for Android. Amazon is Amazing and totally worthy of being one of the best music streaming music streaming apps for Android. This App is of two versions, one of them is the amazon prime. With Amazon prime version, you can boast of having over two million songs on your smartphone and you can play them with no ad disturbance. Also, the two versions of this App rocks the Alexa feature that makes it possible for you to play music via voice command. You can also get to download music from amazon prime, which is one of the best features a music streaming app for Android can contain. If you need the full service of this app, you can easily get it by paying about 3.99$. Deezer is another app on our list of best music streaming app for Android. This app is not just for streaming foreign songs, it also has the ability to play your local music too, most Android music streaming apps don’t play Local songs. This depends on your location though. With Deezer you can also create and personalize your own playlist and get to listen to them anytime you wish to. You also have the opportunity to access radio stations. Cool right? Another feature of Deezer that I love is that it displays on-screen lyrics for those who wish to see the lyrics of there favorite songs. This App gives you a personalized experience based on music streaming. With Pandora, you can get to create and personalize your own playlist based on the kind of music you love. This App gives you access to high-quality music, downloading of music you want for offline use and lots more. You can also get some stations for offline use and also listen to music offline. SoundCloud is also one of the most popular music streaming apps for Android. It has about 3 million users around the world and it is known for its enormous catalog, that lets you discover amazing hip-hop, jazz and any kind of music genre you want. This app has about 150 million tracks and albums included. Soundcloud has four versions which include; SoundCloud free, Soundcloud go, SoundCloud go+ and SoundCloud pulse. All these versions have their own specific use like SoundCloud pulse is for music creators and SoundCloud go+ is more like a premium version for SoundCloud free. Are you in search of where you can get high-quality music? Then this app is the right choice. With this app, you don’t only get high-quality music, but you also music videos, quite cool I must say. You can get to save music and albums offline and access them anytime you want. Building up your own personal playlist is also very possible with this app and it seems very easy too. Trust me, you can do more interesting stuff with this app when you start using it. You can not get to talk about best music streaming apps for Android without mentioning google play music. You do not only get access to music but you can also get to upload your own tracks too. This app contains lots of features like storage of up to 50,000 music from your local storage, subscribing to peoples podcast and smart personalization based on your choice. It also has premium features and of course, you’ll need to pay for premium features. The premium features include; having access to more than 30 million songs, download songs for offline listening and ad-free supported. Being able to browse your favorite music categories can be very possible with this app if you get to download it. Audiomack provides you with streaming and downloading of new and hottest music with ease. You can get to create your personal playlist and follow your favorite artiste. This app has a free version which is Ad supported and the premium version gives you access to many tracks and it shows no Ads. AudioRave is one of the new music streaming apps for Android. This app was recently developed to give its users access to discover new music and popular ones too. You can get to create your own personal playlist by adding your favorite music to it. This app is totally free and you can get lots of music for free. Too bad that this app requires much carrier data services. But it is still a great App. TuneIn is a very wide music streaming service which does not have popular features. This App brings you live sports, music and news broadcast from all areas of the world. You can also get to listen to lots of songs and also get to play any playlist of your choice depending on your mood at that moment. This app can also give you thousands of Fm radio stations from all parts of the world. TuneIn is specifically for sports lovers and podcast lovers too. All articles must have an end! This is officially the end of this article on Music streaming Apps for Android. I actually really enjoyed writing this. I guess it’s because of my love for Music streaming Apps. I remember back in the day when I would have to search for a song, download it and thus add more load to my storage. Music streaming Apps have really come to help. You could play songs offline and get to listen or find just about any song you want. Truth be told, ever since I started using my Music streaming App, it has been completely impossible to revert back to the old music player. Want to know what Music streaming App I use? Ask me in the comment section.